I've been using ModelCo for many, many years now and have loved seeing the brand grow, especially over the last 2 years. 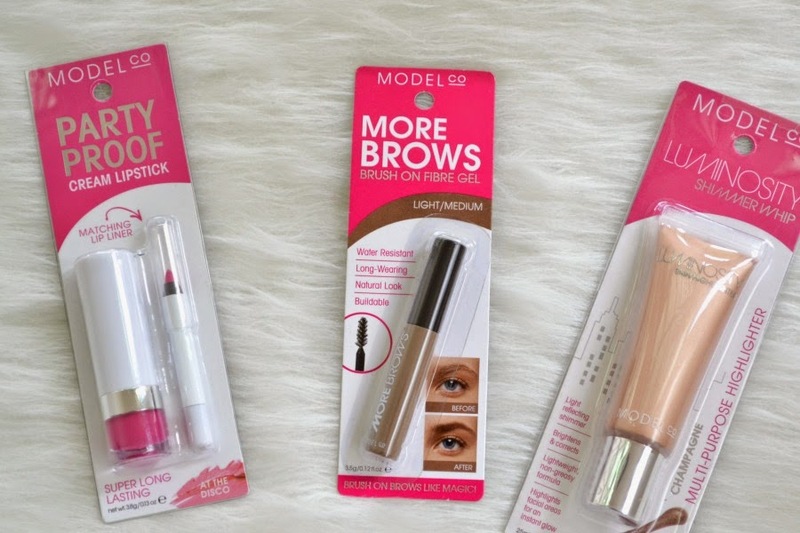 In 2013, ModelCo teamed up with Woolworths and became available in their supermarket! I was really excited to see the Woolworths near my work stock 95% of their cosmetics, as I really love their lipsticks and blush. Sadly, Woolworths doesn't stock their nail polishes and of course it's what I want to try them most! Since they've been available in Woolworths, I've picked up a few products, many of which have become holy grail items for me. One awesome thing about it being stocked at Woolworth is the fact that they often have them on sale or have a GWP... which makes my heart sing!! Since they have to be hanging up on a prong, the packaging is different when you buy it instore verses buying it online. You can see in the picture above how they package it for sale in Woolworths. This is a new release that has been rivalling for my love with the Benefit Gimme Brow. They both give you thicker, tinted brows without looking fake or drawn on. I can use it quickly and effortlessly and still have groomed eyebrows. The great thing about this is that it's only $15 (which is half the price of Benefit's Gimme Brow here in Oz)!!! I've already bought a back up of it, so I won't be without it. I have noticed it does get sold out quite quickly at the Woolies I go to. I adore this so much that it made my Best New Beauty Releases of 2014 here. Blush Cheek Powder in "Peach Bellini"
This has been featured on the blog quite a few times in my monthly favourites. It's a very pigmented blush, so a little bit goes a long way. What I love about Peach Bellini is the fact that it's not too pink or not too apricot/orange. It'll go with a lot of eye and lip looks. It does have a radiant glow to it, without looking greasy, shiny or glittery. I find I can skip highlighter when I use this. It reminds me of my beloved ELES blush in "Coral Sun," just at a more affordable price ($22). The first one that I used was a limited edition GWP that came with a mirror. The one I bought from Woolies doesn't come with a mirror. I would love it if this did as it was so useful! They also have 2 other colours, but I haven't tried them yet. I have quite a few of their lipsticks and love their colour range and formula. They're long lasting and still hold up when you eat or drink. They have a lot of different shades for every skintone and different finishes (some are matte, while others have a satin finish). The Woolies that I go to has quite a lot of colours, but you can get the whole lipstick range from their website. This is such an amazing primer and it surprises me that I haven't seen any bloggers rave about this before. 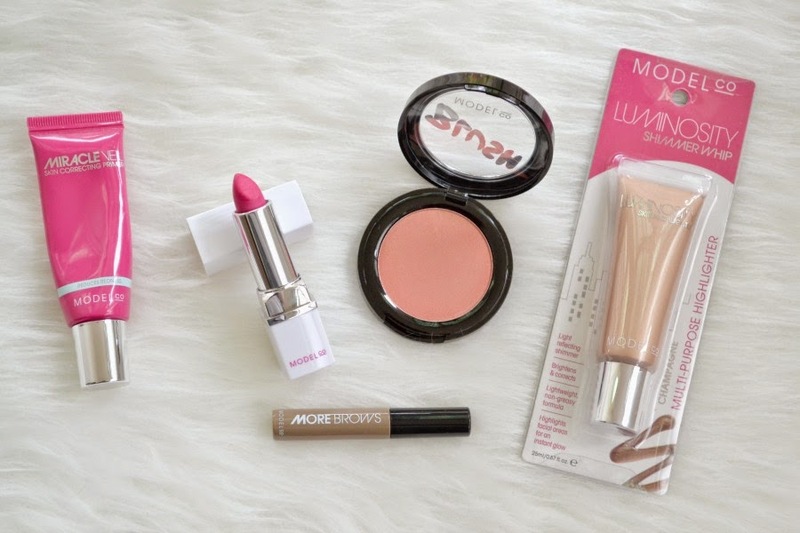 It even made my most loved products of 2014 here. It's a green based primer that helps to calm down my red/pink skin. It also is a primer that doesn't have that silicone feeling, so it's great for anyone looking for a lightweight primer that sinks into the skin. I've run out of it and need to pick another one up! In 2014, they released a skincare range. There are 12 products in the range. They start from $8 and go up to $35, so they're very affordable (especially if you can get them on sale from Priceline!). The range is free from chemicals, synthetic ingredients, sulphates, parabens, silicones and PEGs. 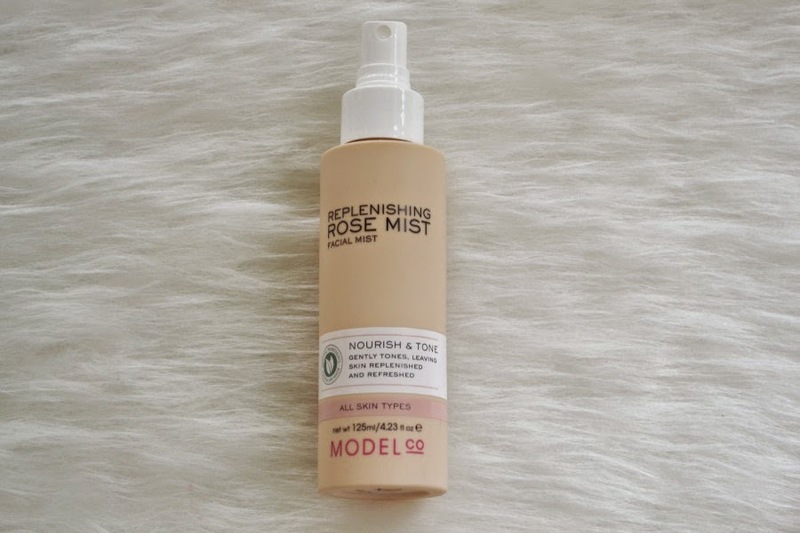 I've currently only tried one item from the range... their Replenishing Rose Mist Facial Mist. I picked this up a couple of weeks ago when Priceline had 30% off the skincare range. I've been really impressed with the mist. It's refreshing and makes a lovely, calming toner. It also has a gorgeous rose scent. Next from the range I want to get the Double Sided Facial Wipes and the Instant Miracle Booster Skin Brightening & Firming Serum. Tomorrow (Wednesday 28th January) Priceline have 40% off skincare so I'll be pick them up then. The Priceline 40% off skincare sale is also on the Thursday 29th January too. I'm also interested in their Macadamia Oil and the Rosehip Oil, but already have some facial oils that I need to use first before buying anymore. 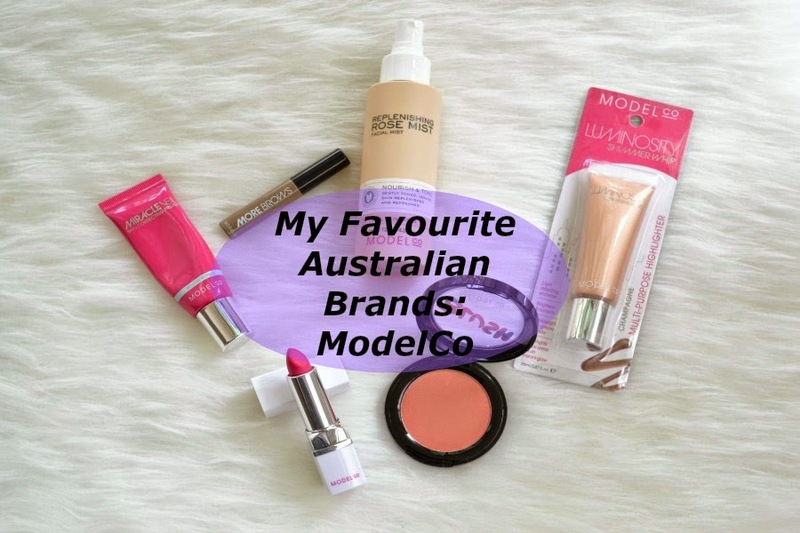 What's your favourite ModelCo product? If you're interested in trying their facial oils, they've got a "try for free" offer at the moment at Priceline. You have to buy the specially marked products (macadamia & rosehip oils are included) before 31/3/2015, use for at least 30 days, then send the empty container with photocopied receipt to them by 30/5/2015. I bought one of their tanners & it's pretty good. I didn't know they were at Woolies. It's a pity they don't have testers at Woolies, I'm interested in that lippy. I like their brow tint better than Benifit! but maybe thats just because of the price difference. Australis also do a good brow tint/gel. I fond that it sticks you brows in place a little better than ModelCo.